OUTSIDE GREETING: Happy Birthday my friend. INSIDE GREETING: Thanks for always being there. 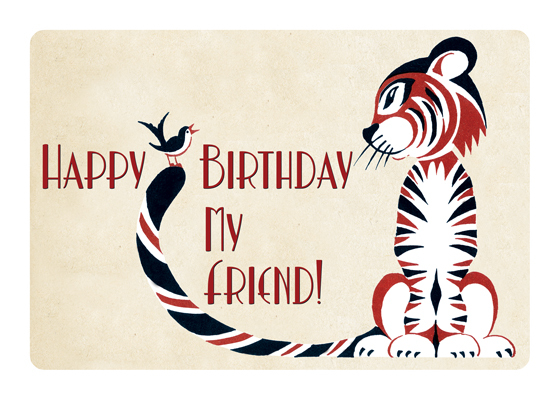 This sweet image of unlikely companions makes a perfect birthday card from one friend to another.